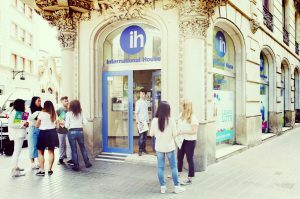 IH Barcelona’s Spanish language school is situated in the center of the city – less than 5 minutes walk from Plaza Catalunya, which is the central square and hub of the city. The school occupies six floors of a large corner building, which has a distinctive, triangular shape, somewhat similar to the famous Flatiron Building in New York. The building dates from the beginning of the last century and has many attractive features: a very decorative street entrance, lots of natural light, high ceilings, and more. Big City Life – Barcelona is one of Europe’s most visited cities, and it’s easy to understand why. No matter if you’re into football, music, fashion or other types of events; this European hub caters to most interests. The Beach – few big cities are coupled with a beautiful beach right next to them. In Barcelona you can go straight from the busy shopping district to relaxing in the sun or going for a swim. Gastronomy and Nightlife – Mediterranean food is both healthy and delicious, and here you’ll find a great variety of dishes in the many restaurants and cafés. Barcelona is also famous for its nightlife, you won’t ever have to go home too early if you don’t want to. Cocktails on the beach, beers in a bar, or party all night long in one of the clubs – there’s something for everyone. 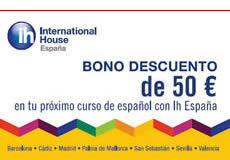 Architecture – You will also see the world famous architecture of Antoni Gaudí, who designed many very unique-looking buildings all over town, including the great Sagrada Familia. The Climate – Barcelona has a very comfortable climate, which is perfect for actually being able to carry out all the activities mentioned above!